This article is about the carnival. For other uses, see Mardi Gras (disambiguation). Mardi Gras ( /ˈmɑːrdiˌɡrɑː/ ), or Fat Tuesday, refers to events of the Carnival celebration, beginning on or after the Christian feasts of the Epiphany (Three Kings Day) and culminating on the day before Ash Wednesday (known as Shrove Tuesday). Mardi Gras is French for "Fat Tuesday", reflecting the practice of the last night of eating rich, fatty foods before the ritual fasting of the Lenten season. Shrovetide, also known as the Pre-Lenten Season, is the Christian period of preparation before the beginning of the liturgical season of Lent. 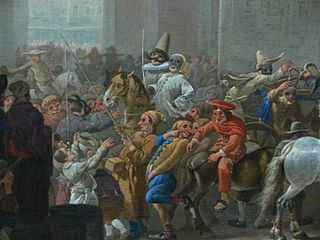 Shrovetide starts on Septuagesima Sunday, includes Sexagesima Sunday, Quinquagesima Sunday, as well as Shrove Monday, and culminates on Shrove Tuesday, also known as Mardi Gras. One hallmark of Shrovetide is the merrymaking associated with Carnival. On the final day of the season, Shrove Tuesday, many traditional Christians, such as Anglicans, Lutherans, Methodists and Roman Catholics, "make a special point of self-examination, of considering what wrongs they need to repent, and what amendments of life or areas of spiritual growth they especially need to ask God's help in dealing with." Some think Mardi Gras may be linked  with the ancient Roman pagan celebrations of spring and fertility such as Saturnalia, which dates back to 133–31 BC. This celebration honored the god of agriculture, Saturn. It was observed in mid-December, before the sowing of winter crops. It was a week-long festival when work and business came to a halt. Schools and courts of law closed, and the normal social patterns were suspended. Paganism, is a term first used in the fourth century by early Christians for people in the Roman Empire who practiced polytheism. This was either because they were increasingly rural and provincial relative to the Christian population, or because they were not milites Christi. Alternate terms in Christian texts for the same group were hellene, gentile, and heathen. Ritual sacrifice was an integral part of ancient Graeco-Roman religion and was regarded as an indication of whether a person was pagan or Christian. The festival is more commonly associated with Christian tradition. 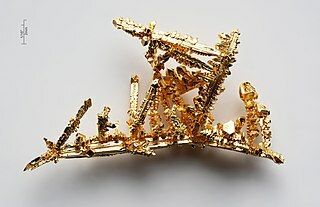 In the Gospel of Matthew the biblical Magi (also called the 'Three Wise Men' or 'Three Kings') visited Jesus with gifts containing gold, frankincense, and myrrh. So twelve days after Christmas, Western Christians celebrate the feast of Epiphany, a celebration of Jesus coming for more than just the Jews, as even Gentile magi were allowed to see him. This begins the Carnival celebration which continues until the day before Ash Wednesday. The culmination of this celebration overlapped with the beginning of Lent. Early Christians believed that during the Lenten season (the forty days between Ash Wednesday and Easter, not including Sundays), Christians should deprive themselves of anything (especially foods) that brought joy so that they might understand better the trials that Jesus faced leading up to his death on Good Friday. Thus, on the Tuesday before Lent and the last day of Epiphany, Christians would celebrate with a feast of their favorite foods to tide them over the coming weeks. Magi denotes followers of Zoroastrianism or Zoroaster. The earliest known use of the word Magi is in the trilingual inscription written by Darius the Great, known as the Behistun Inscription. Old Persian texts, pre-dating the Hellenistic period, refer to a Magus as a Zurvanic, and presumably Zoroastrian, priest. Frankincense is an aromatic resin used in incense and perfumes, obtained from trees of the genus Boswellia in the family Burseraceae, particularly Boswellia sacra, B. carterii, B. frereana, B. serrata, and B. papyrifera. The word is from Old French franc encens. The festival season varies from city to city, as some traditions, such as the one in New Orleans, Louisiana, consider Mardi Gras to stretch the entire period from Twelfth Night (the last night of Christmas which begins Epiphany) to Ash Wednesday. Others treat the final three-day period before Ash Wednesday as the Mardi Gras. In Mobile, Alabama, Mardi Gras–associated social events begin in November, followed by mystic society balls on Thanksgiving,   then New Year's Eve, followed by parades and balls in January and February, celebrating up to midnight before Ash Wednesday. In earlier times, parades were held on New Year's Day. Other cities famous for Mardi Gras celebrations include Rio de Janeiro; Barranquilla, Colombia; George Town, Cayman Islands; Port of Spain, Trinidad and Tobago; Quebec City, Quebec, Canada; and Mazatlán, Sinaloa, Mexico. Carnival is an important celebration in Anglican and Catholic European nations. 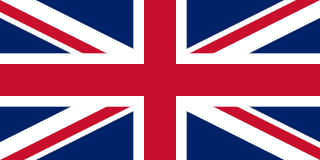 In the United Kingdom and Ireland, the week before Ash Wednesday is called "Shrovetide", ending on Shrove Tuesday. It has its popular celebratory aspects, as well. Pancakes are a traditional food. Pancakes and related fried breads or pastries made with sugar, fat, and eggs are also traditionally consumed at this time in many parts of Latin America and the Caribbean. In the Belgian city of Binche, the Mardi Gras festival is one of the most important days of the year and the summit of the Carnival of Binche. Around 1000 Gilles dance throughout the city from morning until past dusk, whilst traditional carnival songs play. 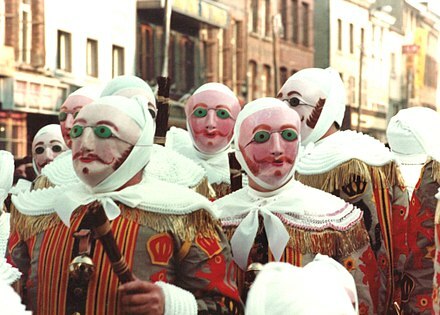 In 2003, the "Carnival of Binche" was proclaimed one of the Masterpieces of the Oral and Intangible Heritage of Humanity by UNESCO. Another noteworthy celebration in Belgium is Aalst Carnaval. Mardi Gras is considered the day of the "Voil Janet" or "Dirty Sissy". Traditionally in Aalst, men dress as their wives or mothers. This custom called "Voil Janet" goes back to the time when Aalst was an industrial time and workers did not have the money to buy dresses. On Mardi Gras the "Voil Janet" gets a parade dedicated to it. Men and woman dressed traditionally get to walk along in the parade. And interact with the viewers. The word "Voil" in the local dialect, means dirty (= Dutch "vuil", cognate with English "foul"). Hence why the parade is sometimes claimed obnoxious, dirty and flatout obscene. Though the parade has mellowed down over the years due to restrictions implemented by the town. Carnival is the most famous Brazilian holiday. During this time, Brazil attracts 70% of its tourists. Variations in carnival celebrations are observed throughout the multitude of Brazilian cities. Commonality observed among them is the incorporation of samba into the celebrations. The southeastern cities of Brazil have massive parades that take place in large sambadromes . The Rio Carnival is where two million people celebrate in the city. The city of Salvador holds a very large carnival celebration where millions of people celebrate the party in the streets of the city with a very big diversity of musical styles together. Cayman Mardi Gras hosts a popular Monday Food Festival prior to the Fat Tuesday Festivities. Ash Wednesday being a holiday has a daytime party in George Town which coincides with the annual Agriculture Fair which is attended by thousands of residents. Carnaval de Barranquilla is Colombia's Mardi Gras celebration. In 2003, it was proclaimed as one of the Masterpieces of the Oral and Intangible Heritage of Humanity by UNESCO. The Nice Carnival is held annually in Nice on the French Riviera. The earliest records establish its existence in 1294 when the Count of Provence, Charles Anjou, wrote that he had passed "the joyous days of carnival." This may make the Nice Carnival the original carnival celebration. Today the event attracts over a million visitors to Nice every year over a two-week period. The celebration on the same day in Germany knows many different terms, such as Schmutziger Donnerstag or Fetter Donnerstag (Fat Thursday), Unsinniger Donnerstag, Weiberfastnacht, Greesentag and others, and are often only one part of the whole carnival events during one or even two weeks before Ash Wednesday be called Karneval, Fasching, or Fastnacht among others, depending on the region. In standard German, schmutzig means "dirty", but in the Alemannic dialects schmotzig means "lard" (Schmalz), or "fat";  "Greasy Thursday", as remaining winter stores of lard and butter used to be consumed at that time, before the fasting began. Fastnacht means "Eve of the Fast", but all three terms cover the whole carnival season. The traditional start of the carnival season is on 11 November at 11:11 am (11/11 11:11). Both Russia and Ukraine have the festival of Maslenitsa (Масленица, rus. ), which on its pagan side celebrates the end of winter and the upcoming summer, and on its Christian side marks the last week before the Great Fasting period before Christian Easter. The festival includes family gatherings with festive meals and treats of bliny (crepes) that resemble the round shape of sun, and culminates on the weekend with mass outdoors gatherings, festivities and entertaining activities such as pole climbing, where a wheel with variety of presents is affixed on the top of a long pole and the contestants need to reach the top to get them. Also the festival's mascot – a feminine figure made out of straw, which symbolizes winter, gets put on fire at the end of the celebration. Knights of Revelry parade down Royal Street in Mobile during the 2010 Mardi Gras season. In 1723, the capital of Louisiana was moved to New Orleans, founded in 1718. The first Mardi Gras parade held in New Orleans is recorded to have taken place in 1837. The tradition in New Orleans expanded to the point that it became synonymous with the city in popular perception, and embraced by residents of New Orleans beyond those of French or Catholic heritage. Mardi Gras celebrations are part of the basis of the slogan Laissez les bons temps rouler ("Let the good times roll"). [ not in citation given ] On Mardi Gras Day, the Tuesday before Ash Wednesday, the last parades of the season wrap up and the celebrations come to a close with the Meeting of the Courts (known locally as the Rex Ball). Other cities along the Gulf Coast with early French colonial heritage, from Pensacola, Florida; Galveston, Texas; to Lake Charles and Lafayette, Louisiana; and north to Natchez, Mississippi and Alexandria, Louisiana, have active Mardi Gras celebrations. Galveston's first recorded Mardi Gras celebration, in 1867, included a masked ball at Turner Hall (Sealy at 21st St.) and a theatrical performance from Shakespeare's "King Henry IV" featuring Alvan Reed (a justice of the peace weighing in at 350 pounds!) as Falstaff. The first year that Mardi Gras was celebrated on a grand scale in Galveston was 1871 with the emergence of two rival Mardi Gras societies, or "Krewes" called the Knights of Momus (known only by the initials "K.O.M.") and the Knights of Myth, both of which devised night parades, masked balls, exquisite costumes and elaborate invitations. The Knights of Momus, led by some prominent Galvestonians, decorated horse-drawn wagons for a torch lit night parade. Boasting such themes as "The Crusades," "Peter the Great," and "Ancient France," the procession through downtown Galveston culminated at Turner Hall with a presentation of tableaux and a grand gala. Women exposing their breasts during Mardi Gras in New Orleans, US, has been documented since 1889, when the Times-Democrat decried the "degree of immodesty exhibited by nearly all female masqueraders seen on the streets." The practice was mostly limited to tourists in the upper Bourbon Street area. In the crowded streets of the French Quarter, generally avoided by locals on Mardi Gras Day, flashers on balconies cause crowds to form on the streets. Fat Thursday, a similar traditional Christian feast associated with the celebration of Carnival. Meteņi or Metenis is an ancient Latvian spring waiting holiday, that ends on Ash Wednesday, which is followed by Lent. Meteņi is celebrated in February or early March, seven weeks before Lieldienas. Shrove Tuesday is the day in February or March immediately preceding Ash Wednesday, which is celebrated in some countries by consuming pancakes. In others, especially those where it is called Mardi Gras or some translation thereof, this is a carnival day, and also the last day of "fat eating" or "gorging" before the fasting period of Lent. The holiday of Mardi Gras is celebrated in all of Louisiana, including the city of New Orleans. Celebrations are concentrated for about two weeks before and through Shrove Tuesday, the day before Ash Wednesday. Usually there is one major parade each day ; many days have several large parades. 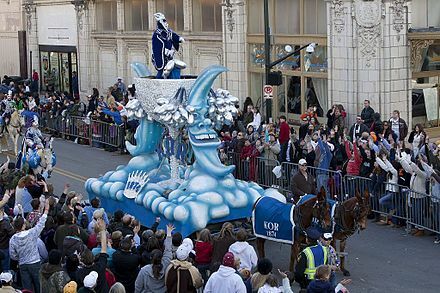 The largest and most elaborate parades take place the last five days of the Mardi Gras season. In the final week, many events occur throughout New Orleans and surrounding communities, including parades and balls. Joseph Stillwell Cain, Jr. is largely credited with initiating the modern way of observing Mardi Gras and its celebrations in Mobile, Alabama, following the Civil War. In 1868, following a visit the previous year to New Orleans and while Mobile was still under Union occupation, Joe Cain paraded through the streets of Mobile, dressed in improvised costume as a fictional "Chickasaw" chief named Slacabamorinico. The choice was an attempt to insult to U.S. Army forces in that it was believed by some that the Chickasaw tribe had never been defeated in war. Joe was joined at some point by six other Confederate veterans, parading in a decorated coal wagon, playing drums and horns, and the group became the "L. C. Minstrel Band", now commonly referred to as the "Lost Cause Minstrels" of Mobile. Fat Thursday is a traditional Christian feast marking the last Thursday before Lent and is associated with the celebration of Carnival. Because Lent is a time of fasting, the days leading up to Ash Wednesday provide the last opportunity for feasting until Laetare Sunday, and after that not until Easter. Traditionally it is a day dedicated to eating, when people meet in their homes or cafés with their friends and relatives and eat large quantities of sweets, cakes and other meals usually not eaten during Lent. Among the most popular all-national dishes served on that day are pączki in Poland or berliner, fist-sized donuts filled with rose hip jam, and angel wings (faworki), French dough fingers served with powdered sugar. Shrove Monday, sometimes known as Collopy Monday, Rose Monday, Merry Monday or Hall Monday, is a Christian observance falling on the Monday before Ash Wednesday every year. A part of the English traditional Shrovetide celebrations of the week before Lent, the Monday precedes Shrove Tuesday. As the Monday before Ash Wednesday, it is part of diverse Carnival celebrations which take place in many parts of the Christian world, from Greece, to Germany, to the Mardi Gras and Carnival of the Americas. Lundi Gras is a relatively recently popularized name for a series of Shrove Monday events taking place during the Mardi Gras. It includes the tradition of Rex, king of the New Orleans carnival,and Zulu King arriving by boat. This began in 1874, but the term Lundi Gras was not widely applied until 1987 when the arrival was brought back as part of a series of river-related events under the name of "Lundi Gras". Lundi Gras was the creation of journalist Errol Laborde. The event was staged with the cooperation of Riverwalk Marketplace and its then marketing director Carol Thistle Lentz. The events are detailed in Laborde's book, Krewe: The Early New Orleans Carnival from Comus to Zulu. Rosenmontag is the highlight of the German Karneval (carnival), and is on the Shrove Monday before Ash Wednesday, the beginning of Lent. Mardi Gras, though celebrated on Tuesday, is a similar event. Rosenmontag is celebrated in German-speaking countries, including Germany, Austria, Switzerland and Belgium, but most heavily in the carnival strongholds which include the Rhineland, especially in Cologne, Bonn, Düsseldorf, Aachen and Mainz. In contrast to Germany, in Austria, the highlight of the carneval is not Rosenmontag, but Shrove Tuesday. The Strikers Independent Society is a mystic society founded in 1843 in Mobile, Alabama and participated in Carnival during New Year's Eve and New Year's Day celebrations. It is the oldest remaining mystic society in America but no longer hosts an annual parade. Užgavėnės is a Lithuanian festival that takes place during the seventh week before Easter. Its name in English means "the time before Lent". The celebration corresponds to Roman Catholic holiday traditions in other parts of the world, such as Mardi Gras, Shrove Tuesday, and Carnaval. Mardi Gras is the annual Carnival celebration in Mobile, Alabama. It is the oldest annual Carnival celebration in the United States, started by Frenchman Nicholas Langlois in 1703 when Mobile was the capital of Louisiana. This was fifteen years before New Orleans was founded, although today their celebrations are much more widely known for all the current traditions such as masked balls, parades, floats and throws were first created there. From Mobile being the first capital of French Louisiana (1702), the festival began as a French Catholic tradition. Mardi Gras in Mobile has now evolved into a mainstream multi-week celebration across the spectrum of cultures in Mobile, becoming school holidays for the final Monday and Tuesday, regardless of religious affiliation. Mardi Gras throws are strings of beads, doubloons, cups, or other trinkets passed out or thrown from the floats in the New Orleans Mardi Gras, the Mobile Mardi Gras and parades all throughout the Gulf Coast of the United States, to spectators lining the streets. The "gaudy plastic jewelry, toys, and other mementos [are] tossed to the crowds from parading floats". "The goodies, or 'throws,' consist of necklaces of plastic beads, coins called doubloons, which are stamped with krewes' logos, parade themes and the year, plus an array of plastic cups and toys such as Frisbees or figurines". The cups that are used as throws are sometimes referred to as New Orleans dinnerware. Mardi Gras in the United States is not observed nationally across the country, however a number of cities and regions in the U.S. have notable Carnival celebrations. Most trace their Mardi Gras celebrations to French, Spanish, and other colonial influences on the settlements over their history. The earliest Carnival celebration in North America occurred at a place on the west bank of the Mississippi river about 60 miles downriver from where New Orleans is today; this Mardi Gras on the 3rd of March 1699 and in honor of this holiday, Pierre Le Moyne, Sieur d'Iberville, a 38-year-old French Canadian, named the spot Point du Mardi Gras near Fort Jackson. The earliest organized Carnival celebrations occurred in Mobile, Biloxi, New Orleans, and Pensacola, which have each developed separate traditions. In addition, modern activities generally vary from city to city across the U.S.
A variety of customs and traditions are associated with Carnival celebrations in the German-speaking countries of Germany, Switzerland and Austria. They can vary considerably from country to country, but also from one small region to another. This is reflected in the various names given to these festivities occurring before Lent. The Carnival of Madeira is an annual festival held forty days before Easter, that ends on Shrove Tuesday the day before Ash Wednesday. On certain days of Lent, Roman Catholics traditionally abstained from the consumption of meat and poultry, hence the term "carnival," from carnelevare, "to remove meat." The Cwarmê is a carnival which takes place in the city of Malmedy (Belgium). It lasts four days and is listed as intangible heritage of the French Community of Belgium. The carnival begins at midnight on the Friday before Lent and lasts until midnight on Shrove Tuesday. Carnival in Goa, also called "Carnaval", "Intruz", "Entrado", or (colloquially) "Viva Carnival" refers to the festival of carnival, or Mardi Gras, in the Indian State of Goa. Though significantly smaller than the well-known Rio Carnival or the Portuguese Carnival of Madeira, the Goa Carnival is the largest in India and one of the few traditional celebrations of the Catholic holiday in Asia. Despite falling into obscurity during the latter days of the Portuguese colonial rule of Goa, the Goa Carnival was resurrected as a minor street celebration in 1965 and has since turned into a major tourist attraction for the small state. 1 2 Melitta Weiss Adamson, Francine Segan (2008). Entertaining from Ancient Rome to the Super Bowl. ABC-CLIO. In Anglican countries, Mardis Gras is known as Shrove Tuesday-from shrive meaning "confess"-or Pancake Day — after the breakfast food that symbolizes one final hearty meal of eggs, butter, milk and sugar before the fast. On Ash Wednesday, the morning after Mardi Gras, repentant Christians return to church to receive upon the forehead the sign of the cross in ashes. ↑ "9 Things You May Not Know About Mardi Gras". History. Retrieved 8 January 2019. 1 2 3 "Mardi Gras Terminology". "Mobile Bay Convention & Visitors Bureau". Archived from the original on 9 December 2007. Retrieved 18 November 2007. ↑ Wilds, John; Charles L. Dufour; Walter G. Cowan (1996). 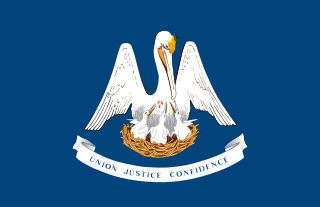 Louisiana, Yesterday and Today: A Historical Guide to the State. Baton Rouge: LSU Press. p. 157. ISBN 978-0807118931 . Retrieved 11 December 2015. ↑ Bratcher, Dennis (7 January 2010). "The Season of Lent". Christian Resource Institute. Retrieved 25 June 2016. ↑ "Mardi Gras in Bohemia-Prague" . Retrieved 18 January 2016. ↑ "Staročeský masopust Hamry" . Retrieved 16 December 2017. ↑ "Woher hat der Schmutzige Donnerstag seinen Namen?". Regionalzeitung Rontaler AG (in German). 17 February 2013. Retrieved 7 February 2015. ↑ Killinger, Charles L. (2005). Culture and Customs of Italy. Greenwood Publishing Group. ISBN 978-0313324895. ↑ "Swedish semla: more than just a bun". Sweden.se. Archived from the original on June 6, 2011. Retrieved February 22, 2011. ↑ "9 Things You May Not Know About Mardi Gras". History.com. Retrieved 17 August 2017. 1 2 "Timeline 18th Century:" (events), Timelines of History, 2007, webpage: TLine-1700-1724: on "1702–1711" of Mobile. 1 2 "Carnival/Mobile Mardi Gras Timeline". Museum of Mobile. Museum of Mobile. Retrieved 18 July 2012. ↑ "Mardi Gras in Mobile" (history), Jeff Sessions, Senator, Library of Congress, 2006, webpage: LibCongress-2665. ↑ "Mardi Gras" (history), Mobile Bay Convention & Visitors Bureau, 2007, webpage: MGmobile. ↑ Barry Jean Ancelet (1989). Capitaine, voyage ton flag : The Traditional Cajun Country Mardi Gras. Center for Louisiana Studies, University of Southwestern Louisiana. ISBN 0-940984-46-6. ↑ Geiling, Natasha. "Best Places to Celebrate Mardi Gras Outside of New Orleans". Smithsonian. Retrieved 11 February 2018. ↑ Houser, Dave G. "7 big Mardi Gras celebrations (not in New Orleans)". chicagotribune.com. Retrieved 11 February 2018. ↑ "Mardi Gras in St. Louis' Soulard Neighborhood" . Retrieved 12 February 2018. ↑ "12th Night | Soulard Mardi Gras 2018". stlmardigras.org. St. Louis, MO. Retrieved 11 February 2018. ↑ Lisa Gabbert (1999). Mardi Gras: A City's Masked Parade. The Rosen Publishing Group. p. 4. ISBN 978-0-8239-5337-0. ↑ A Mardi Gras Dictionary. Pelican Publishing. p. 6. ISBN 978-1-4556-0836-2. ↑ J.C. Brown (2008). Carnival Masks of Venice: A Photographic Essay. AAPPL Artists & Photographers Press, Limited. ISBN 978-1-904332-83-1. ↑ Sparks, R. “American Sodom: New Orleans Faces Its Critics and an Uncertain Future”. La Louisiane à la dérive. The École des Hautes Études en Sciences Sociales Coloquio. 16 December 2005. 1 2 Shrum, W. and J. Kilburn. "Ritual Disrobement at Mardi Gras: Ceremonial Exchange and Moral Order". Social Forces, Vol. 75, No. 2. (Dec. 1996), pp. 423–458. Wikimedia Commons has media related to Mardi Gras .